As early as 1991, research findings from a study undertaken by John R. Bergan, founder and current President of ATI, indicated that a brief, two-month implementation of an intervention in which assessment information was gathered to guide instruction had a direct effect on the acquisition of basic math and reading skills. 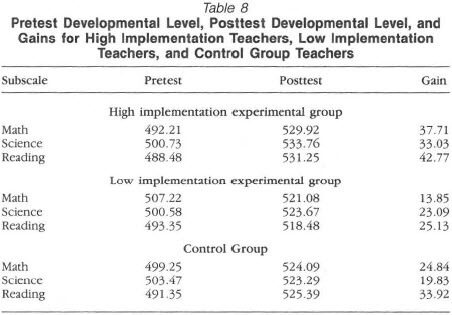 The acquisition of these skills had a significant effect on promotion to the first grade and on referral to and placement in special education. In the control condition, one in every 3.69 children was referred for possible placement in special education. In the intervention condition, only one out of every 17 children was referred. In the control condition, approximately one out of every five children was placed in special education. In the intervention condition, only one out of every 71 children was placed in special education. Gathering assessment information to guide instruction continues to drive the design of the Galileo K-12 Online Instructional Improvement System. Other success stories can be found on our website at ati-online.com. Contact your Field Services Coordinator with your success stories. We would be privileged to share them in subsequent blogs. *J.R. Bergan, I.E. Sladeczek, R.D. Schwarz, American Educational Research Journal (Volume 28, Number 3 - Fall 1991). pp. 683-714, © 1991 by American Educational Research Association. Reprinted by Permission of SAGE Publications.